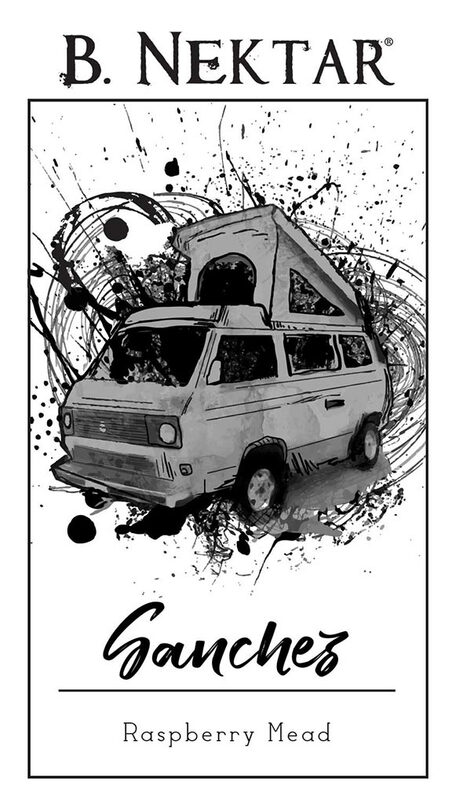 Sanchez is the name of our 1984 VW Camper. 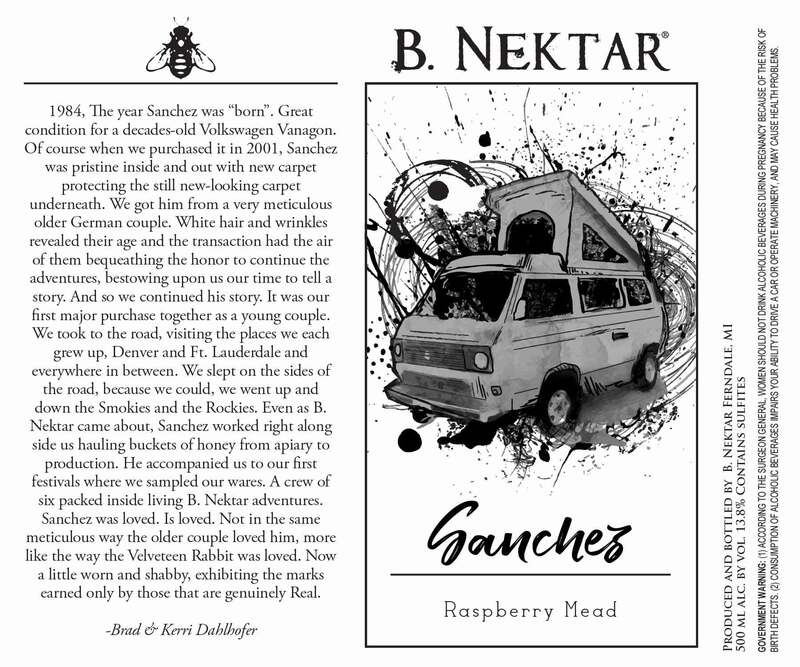 And as a tribute to our beloved friend, we are naming this new mead after him. Just like Sanchez, this mead is something special. It's like having a mouthful of fresh raspberries. That's because we used nothing but pureed raspberries to dilute the honey. No water at all! This one of the most decadent meads we've ever created.